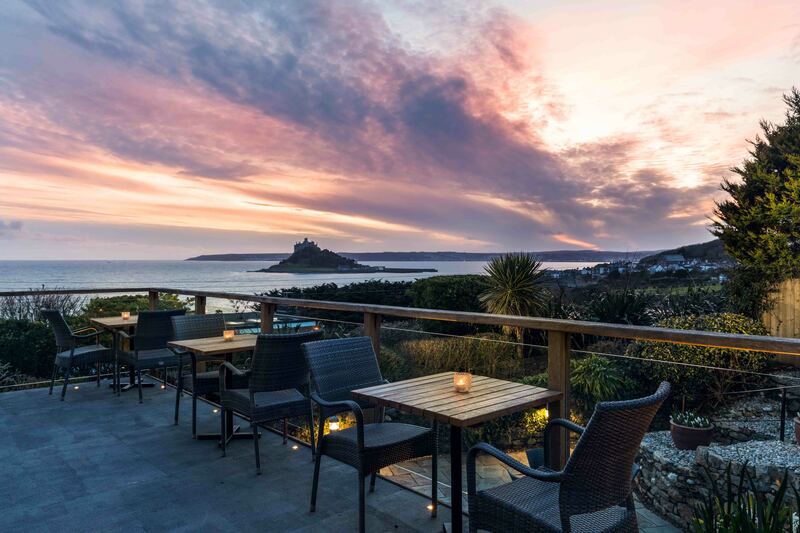 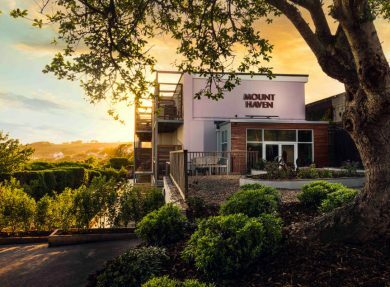 Tucked away on the edge of the ancient market town of Marazion, this boutique hotel enjoys stunning views over Mount’s Bay and out to St Michael’s Mount. 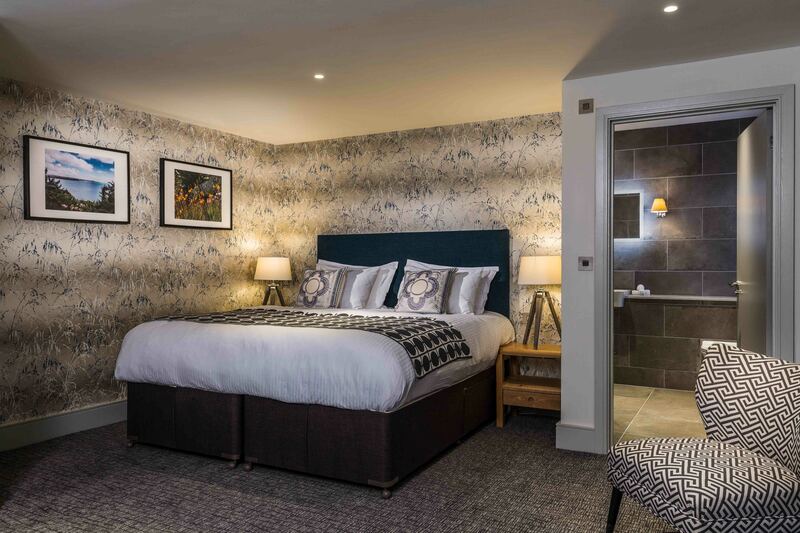 Set away from the rush of the town, those seeking a true escape will find a calm and relaxing atmosphere awaiting them, with the hotel’s position offering a real sense of tranquillity. 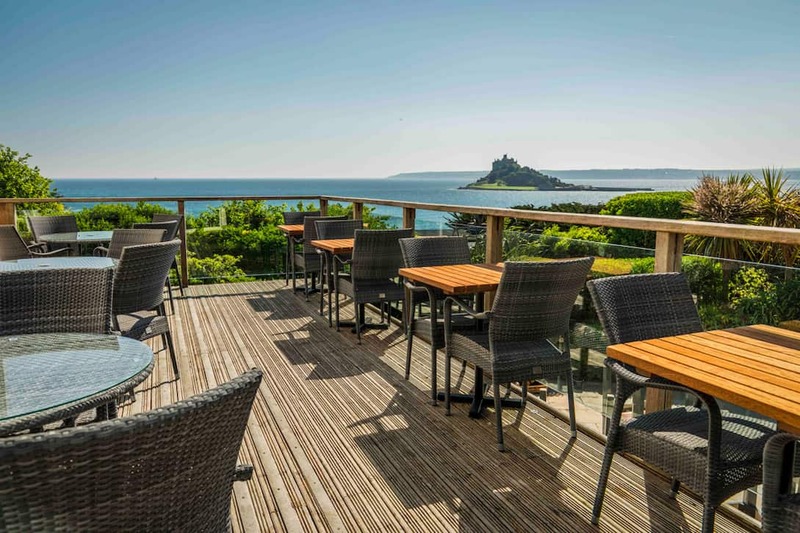 Anyone wishing to get out and explore need only step outside however - head off on foot and you’ll soon find the cafes, galleries and shops of Marazion which are around a 10 to 15 minute walk from the hotel. 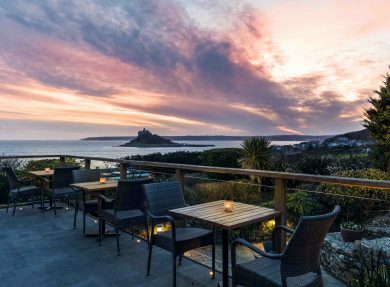 Alternatively, jump in the car and visit Penzance or set off along the coast path which passes just behind the hotel – ideal for those enjoying a break away with their four-legged friend. 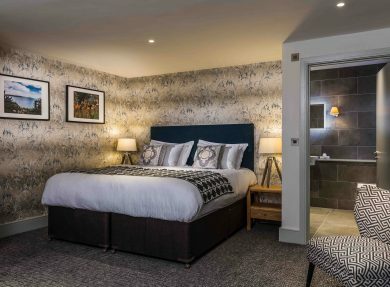 The sleek and elegant rooms provide the perfect haven for guests, whilst the restaurant - which has just undergone an extensive refurbishment resulting in a beautiful new design - promises a fantastic culinary experience with imaginative, adventurous dishes inspired by nature, made using the freshest local ingredients from the region. 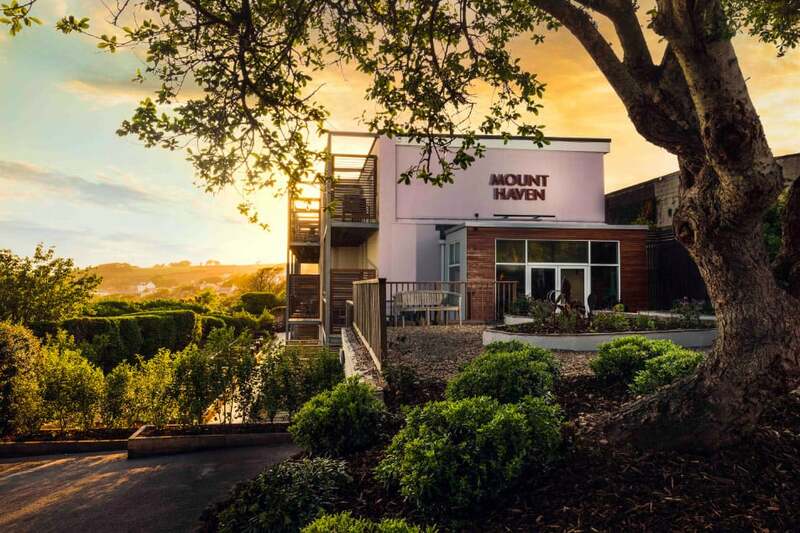 At the heart of Mount Haven you’ll find The Terrace Bar. The perfect place for a coffee or cocktail overlooking the bay - during the summer months you’ll be able to sit outside on the terrace and enjoy the sunshine and stunning views, whilst during winter you’ll find no better place to cosy up than next to the wood burner inside. The views – simply stunning, they really don’t get much better than this. 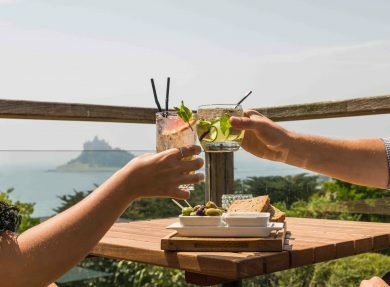 The chance to enjoy a holistic treatment during your stay with one of the professional, dedicated team of therapists.